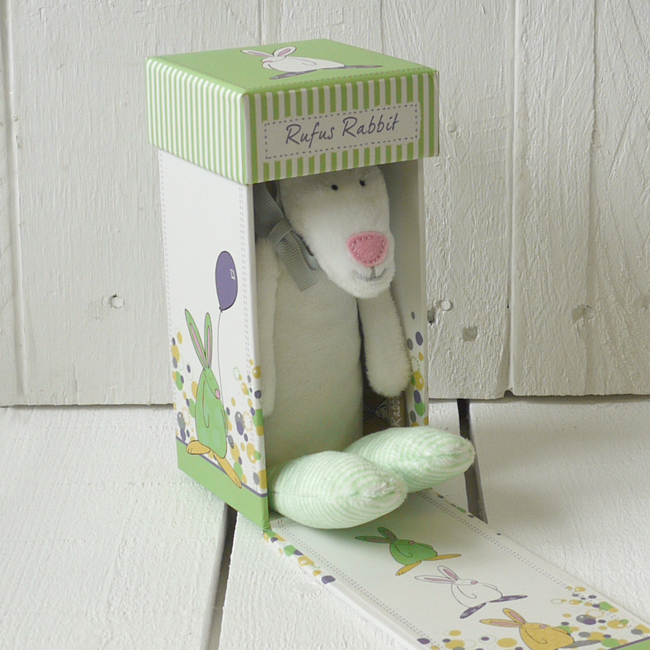 Gorgeous Baby Rattle by Rufus Rabbit. perfectly sized for little hands to hold. 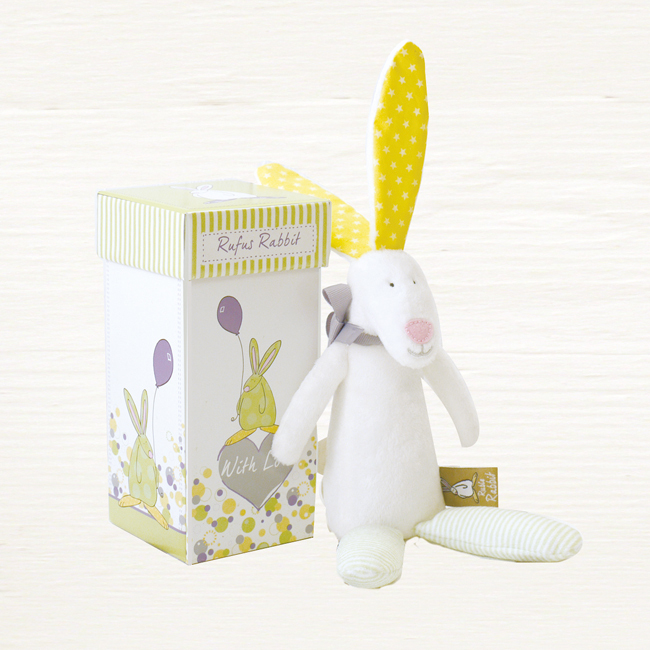 An adorable super soft gorgeous baby rattle with crinkly ears and tinkling bell packaged in a truly lovely little bunny gift box. 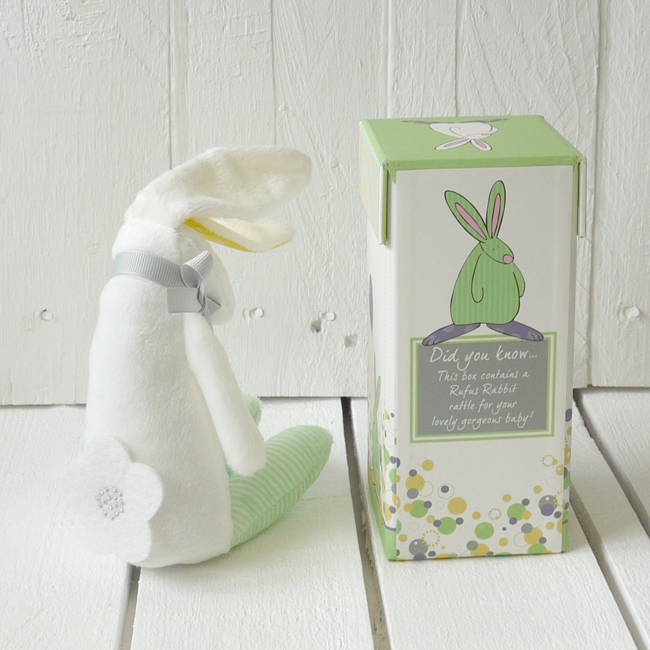 All our Rufus Rabbit baby products have passed the relevant safety tests which makes this gorgeous baby rattle perfect for drooling, chewing, loving and playing with! 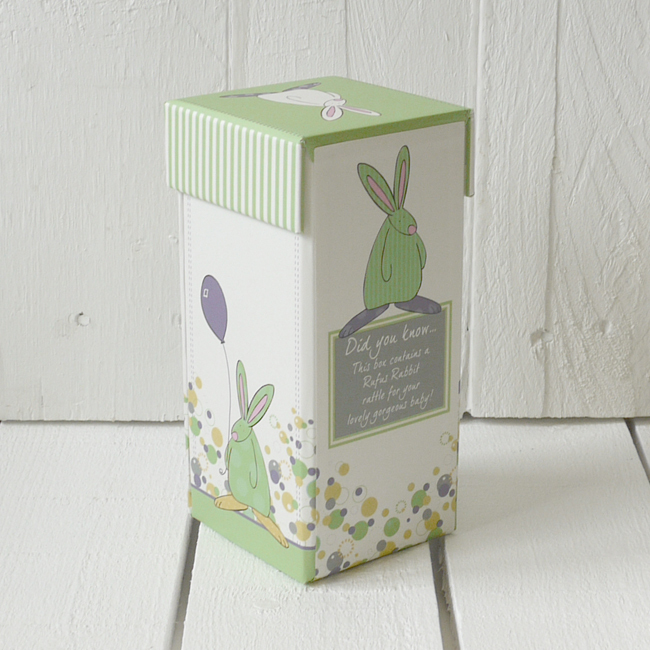 This yellow & green colour way makes this version of Rufus’ best selling gift idea jolly useful as a baby shower gift. It also ticks the box for those who wish to avoid gender colour stereotype toys. 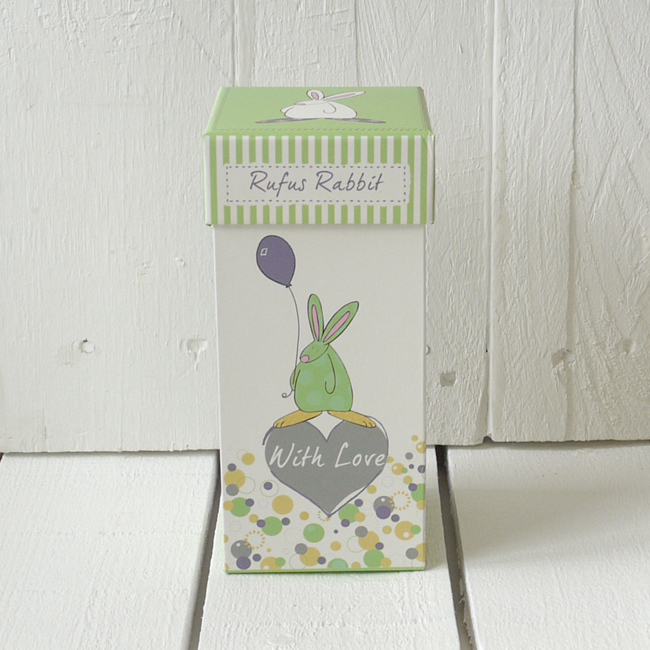 Rufus is now six years old and is carving himself a beautifully packaged niche in the baby gift market. 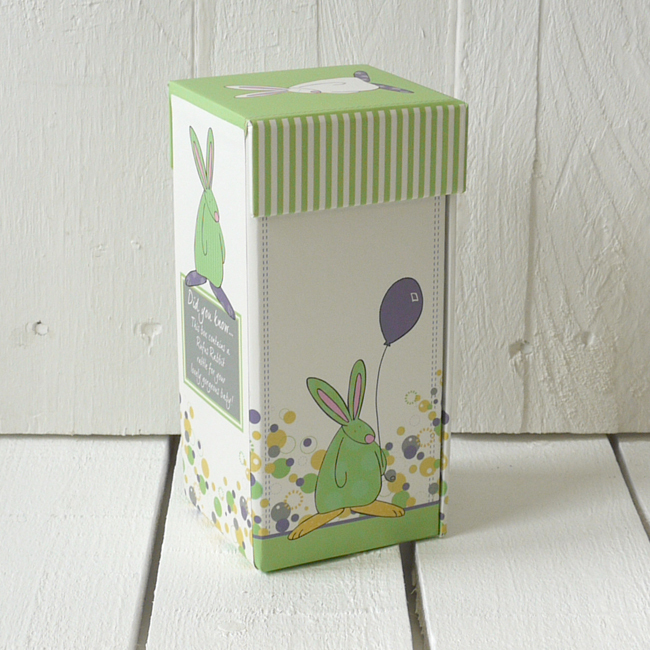 Rufus’ ultimate aim is to create products that add a smile to your day.